One of few studies to have applied these modern analytical tools to studying ecological patterns of diversity in montane remnants was a study of resident birds in humid pine-oak forests in southern Mexico conducted by the author. 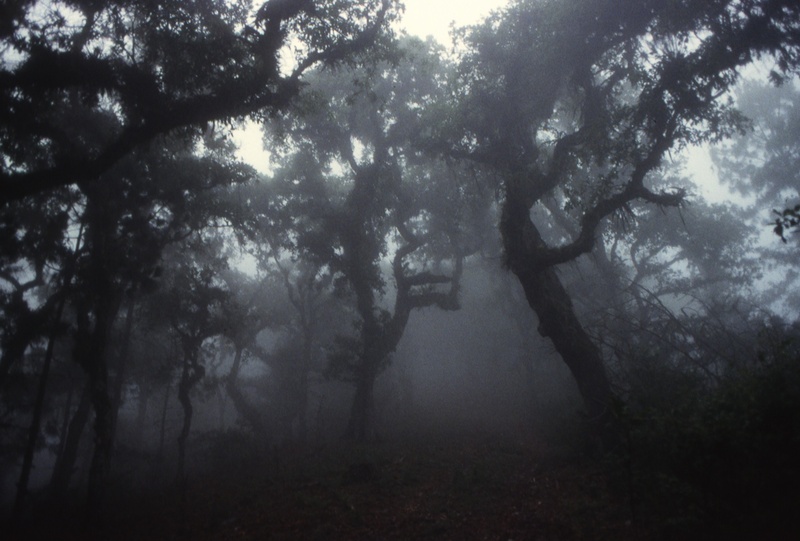 Dominated by various species of pine and oak with associated alder, fir and other palaeartic plants, these temperate forests are restricted to elevations of 2,500m or higher. Originally widespread throughout Mesoamerica (from Texas through to Colombia), these cold adapted forests retreated upslope during the last interglacial period beginning approximately 30,000 years ago, attaining their present configuration approximately 12,000 years ago. The Oaxaca Valley occurs between the two dominant ranges of the region (the Sierra Madre Oriental and Occidental) and has been the focus of comprehensive archaeological research including detailed palaeoclimate and vegetation reconstructions for the past 40,000 years. Exhaustive bird surveys were conducted in seventeen patches of humid pine-oak forest, ranging in size from 2 to 160,000 ha. To minimise the issues associated with incomplete inventories, particular attention was paid to the methodology used to survey resident bird assemblages. As no other study had attempted to conduct inventories for patches spanning five orders of magnitude, a new sampling approach was devised, applying results based stopping rules to sample forests at the patch scale to the same degree of completeness (known as the Standardized Search). These field data were complemented with historic data from unpublished records and specimen data, yielding comparable inventories of consistently high completeness. These data were analysed using a range of methods, and compared qualitatively with findings from comparable studies of other montane remnants. The most striking finding from this work was the consistent importance of patch-scale factors in determining species richness. Whereas isolation (measured as distance from the nearest forest larger than 100,000 ha) and other landscape-scale factors had little effect (either on overall richness or occurrence patterns of 60 resident species), fragment area, vegetation complexity and elevational range all emerged as key drivers of diversity. All three predictors were closely inter-related, however, such that larger forests typically contained a higher number of habitats and spanned greater elevational ranges. Patterns of richness among the seventeen fragments were found to be highly nested, the arrangement of subsets closely related with patch area. These findings echo previous results from other montane remnants elsewhere, with patch scale factors consistently overwhelming landscape-scale factors. This suggests that much of the isolation effect described in younger systems or patches surrounded by high-contrast matrices is transitory, with fragment size and other patch-scale factors more crucial to retaining species over thousands of generations. Examining occurrence patterns of individual species, 27 of the 30 habitat specialists were found only in forests larger than 3,000 ha, with eight especially sensitive species found only in montane remnants larger than 30,000 ha. The role of temporal scale. Comparing findings from these old fragmented systems with those from other classes of patchy landscape, time since patch formation emerges as critical. Indeed, after thousands of years, islands and fragments converge in many community-scale properties. For those patches in low contrast matrices (including montane remnants and inselbergs) diversity stabilizes over time and the biota becomes distinct from the interstitial matrix. Islands become dominated by matrix-derived taxa whereas relictual taxa continue to dominate fragments, with inter-patch dispersers showing indistinguishable patterns of occurrence. Hence, despite different origins and initial differences, older island and fragment biotas exhibit broad similarity, explaining why they are so frequently studied together. Over evolutionary time, the process of habitat fragmentation can lead to vicariant speciation, isolated populations of organisms diverging and acquiring novel traits. At the global scale, tectonic movement driving the breakup of Gondwana and Laurasia exemplify this process but, so long as patch size and quality are sufficient to allow populations to persist, allospecies can result from fragmentation at much smaller scales (Fig. 3). The proportion of these neoendemics is generally greater in high contrast systems but populations isolated by changing courses of rivers, intrusion of lavaflows or shifting dunefields in terrestrial systems can also go on to form distinct species. Since fragmentation necessarily leads to smaller populations in the short-term, it can initiate a sequence of demographic processes culminating in local or complete extinction. Aside from smaller population sizes, fragments have higher proportions of edge habitat, attracting early successional species that can eventually replace the relictual taxa. This explains why patch size consistently emerges as so important in explaining distribution patterns in these older landscapes and, as revealed by the findings from Oaxaca, these thresholds can be surprisingly high. Implications for recently fragmented landscapes. Despite the concerted efforts of ecologists to derive generalised principles that explain the short-medium effects of habitat fragmentation on biodiversity, overall trends are obscured by site- and taxon-specific factors. 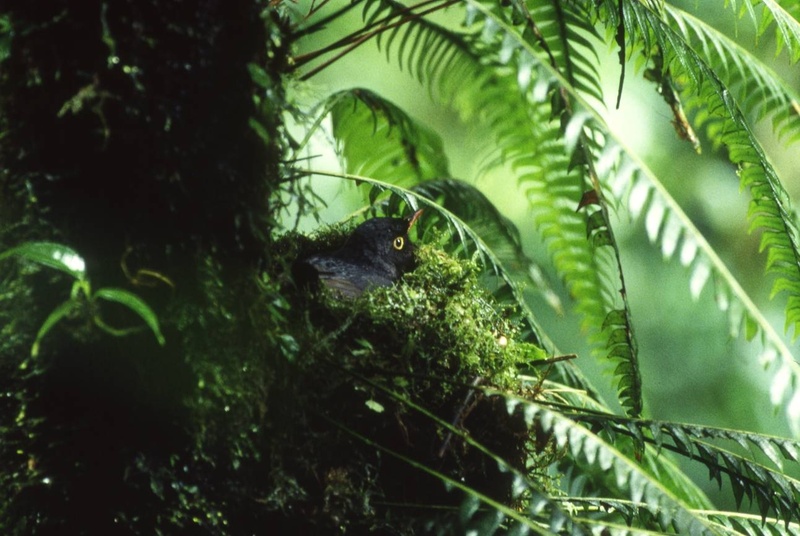 Following fragmentation of any previously continuous habitat, a variable proportion of relict species becomes locally extinct, due initially to loss of habitat but subsequently to demographic and stochastic processes. Many studies have focused on these processes (Chapter zz), identifying ecological traits of those species especially prone to extinction and patch attributes that may minimise these extinctions. Initial diversity losses can be offset by an influx of matrix-derived species, occasionally resulting in fragmentation having a positive effect on diversity. These adjustments in community composition can take many generations to occur. Most studies, however, focus on habitats dominated by woody plants (i.e., forests and woodlands), ecosystems defined by organisms with life-spans that generally exceed the time since initial disturbance. Accordingly, net effects of recent fragmentation on diversity patterns can rarely be measured with confidence and some theoretical estimates suggest hundreds to thousands of years are required before communities adjust. These concerns notwithstanding, most research carried out in anthropogenically-fragmented systems does not focus on long-term effects. Rather, most studies are motivated by site-specific application oriented goals, generating valuable data on the short-term responses of communities to fragmentation. In contrast to the highly divergent consequences of habitat fragmentation in the short term, studies of older systems reveal broad similarities in the long-term effects of fragmentation. Biotas remain composed primarily of relict taxa, with diversity patterns best explained by area, age and other patch scale variables and landscape scale factors like isolation consistently have little influence. Hence, despite comprising less than fifty studies, insights generated from these older, high elevation fragments contains valuable insight into the future awaiting anthropogenically altered landscapes. Moreover, the close inter-relationships between the patch-scale variables in studies of older landscapes suggests that much of the debate between the influence of habitat versus area is needless, with these and other patch-scale factors interacting and combining in their influence on biodiversity occurrence over the long term.